The fundamental drivers of Dubai’s residential real estate market remain strong and opportunities exist for medium-to-long term investors, according to Deloitte, a global consultancy firm. “Investment appetite remains, as the emirate represents a ‘safe haven’ opportunity for regional investors. Investment yields in Dubai’s residential market have increased, as residential rental rates have not declined at the same rate as residential capital values in the past 18 months. Opportunities still exist for medium-long term investors,” Martin Cooper, Director Real Estate Services at Deloitte Corporate Finance Limited wrote in Forbes Middle East magazine. He added that Dubai has consolidated its position as a regional hub in the Middle East and North Africa region, through investment in transport infrastructure such as airports, ports, the Dubai Metro and the Dubai Tram, as well as investment in soft infrastructure such as education, healthcare, entertainment and leisure. Economic diversification, and subsequent job creation, has encouraged foreign nationals to move to Dubai, helping to drive the emirate’s population from 1.9 million in 2011 to 2.5 million in 2016, an increase of 32 per cent. “Ongoing investment in infrastructure (both hard and soft) should enable Dubai’s growing population and labor force to work more productively than regional peers, further consolidating its position as a regional hub,” he said. Dubai’s residential sales market peaked in October 2014 as average sales prices stood at Dh1,455 per square feet (psf) for villas and Dh1,495 psf for apartments. Residential sales prices, as of May 2016, were at Dh1,288 psf for villas and Dh1,297 for apartments, a decline of between 12 and 13 per cent since October 2014.
Cooper refers to the ‘flight to affordability’ as a key driver for Dubai’s residential sales market. This is reflected in average transaction prices coming down from Dh2 million in 2014 to Dh1.7 million in 2015. 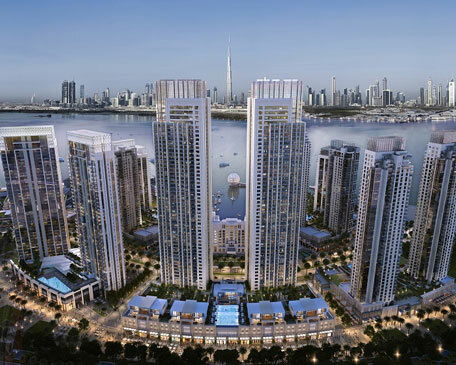 Emirates 24|7 revealed this week that investment in the Dubai real estate market rose by a whopping 92 per cent in April and May combined, taking total investment in the sector to Dh48 billion in the first five months of 2016. The total number of nationalities investing in the emirate were 127, with UAE Nationals (Emiratis) topping the chart with investments worth Dh12.024bn followed Indians at Dh5.885bn and Saudis at Dh3.655bn. In April, Standard and Poor’s Ratings Services said lifting of sanctions on Russia and Iran, oil price recovery and a weakened US dollar will strongly benefit the recovery of the Dubai property market. “We still believe that the lifting of geopolitical restrictions, such the sanctions on Russia and Iran, could strongly benefit the recovery of the UAE property market. This would open new investment flows into the regions’ real estate markets and partly compensate for the softening demand from other countries,” it said. Dubai is the host city for Expo 2020, which will run for a period of six months, starting October 20, 2020 until April 10, 2021. It aims to draw more than 25 million visitors, expecting Dh25 billion in total investment in infrastructure-related projects, with the creation of 277,000 new jobs.